Members get access to our daily DFS Breakdown, Trade Targets, and Are We Concerned articles each week! Even cash in on some NBA DFS! Our Trade Targets article will be going over a number of different players you should be trading for in your leagues. Like I said above, players underperform for a number of different reasons. That doesn’t mean that they won’t do well going forward. There are also some players who are doing poorly that you should be staying away from. This article will give you our take on how to distinguish the difference and decide who is worth trading for and who should be left alone. Access to the private chat is invaluable. Not only will you have access to the both of us at any time, but you will have access to every other member of this site. Remember, we aren't perfect, and you should really be getting your information from multiple sources. That's good advice for any sort of information, not just fantasy sports. I was part of a private chat when I was a member of the DFS sweatshop. 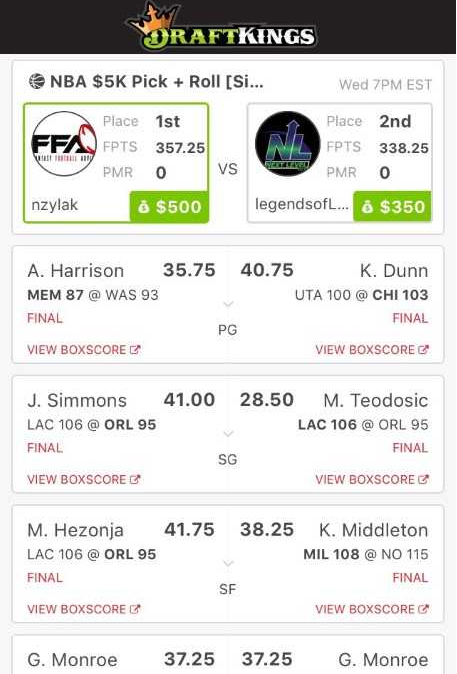 It was an immensely positive experience and was the reason I was able to make so much money in basketball DFS. When I joined I thought I would be getting advice from the guru (the guy who created the site) and that he would help me make the right plays. But the real reason I was so successful was the community. There were over 1,000 of us in there and being able to chop up the slate every night gave me insight I never would have imagined. So why do I bring this up? Well because I want you guys to understand the value of this chat. Yes you will be able to ask the both of us questions whenever you want, but it's so much more than that. Having a massive community where you can ask anything and discuss any player is huge. As the regular season comes closer there will be things happening every day and it is important to be able to determine what is relevant and what isn't. I promise this chat will be something that helps you a million times more than writing in the comment section of a video.